This enamel pin is a fab way of spreading love for dogs. 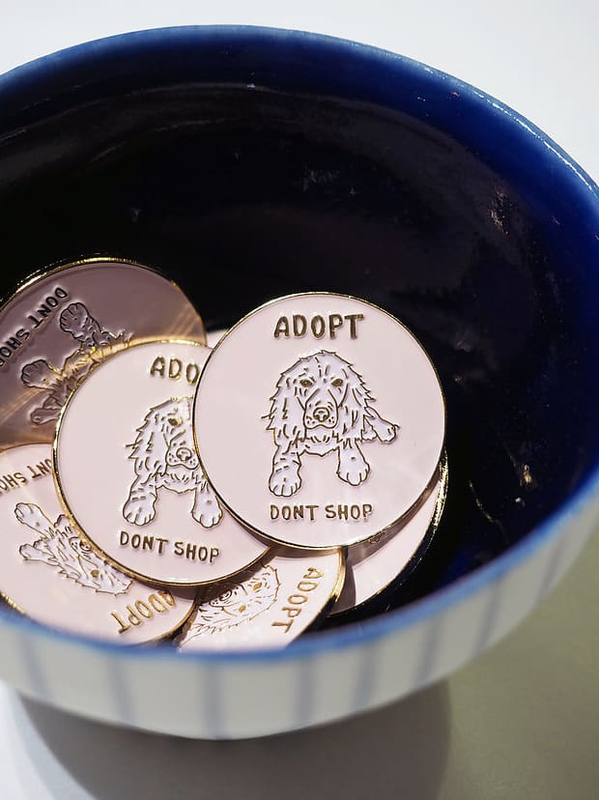 Adopt Dont Shop is designed in house at Tidy Print. It comes in gold and light pink colourway. Tidy Print in Brighton, United Kingdom. Delivery within 3-5 working days. Delivery within 1-3 working days. FREE Click & Collect available for selected postcodes. On items eligible for returns, you have 14 days from delivery to submit a return request. Request this product from the boutique and we'll notify you when it's back in stock!